Thallium is a chemical element. It has the chemical symbol Tl. It has the atomic number 81. Its standard atomic weight is 204.4. It is found in Group 13 of the periodic table. Thallium is a gray metal that is very toxic. 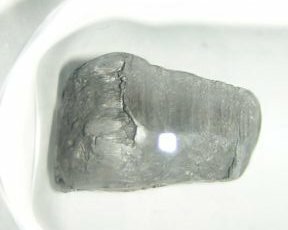 Thallium is a soft, malleable, grayish post-transition metal. It can be cut with a knife at room temperature. It melts at a low temperature, 304°C. This is typical of a post-transition metal. Thallium has 25 isotopes and two stable (nonradioactive) ones. It is extremely toxic. Thallium is a moderately reactive metal. It corrodes easily in air with a blue-gray color that is similar to lead. If it is kept in air for a long time, a large amount of thallium(I) oxide will build up. It corrodes in the presence of water to make the hydroxide. It burns with a greenish flame. It reacts with most acids. Thallium makes chemical compounds in two oxidation states: +1 and +3. The +1 state is more common and less reactive. Its chemical compounds are very similar to potassium or silver compounds. It makes a hydroxide that in a strong base when dissolved in water. Most other transition metal and post-trnansition metal hydroxides do not dissolve in water. 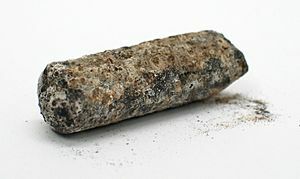 This reacts with carbon dioxide to make thallium(I) carbonate, which is also water-soluble and very heavy. It is the only heavy metal carbonate that can dissolve in water. Other compounds are similar to silver compounds. 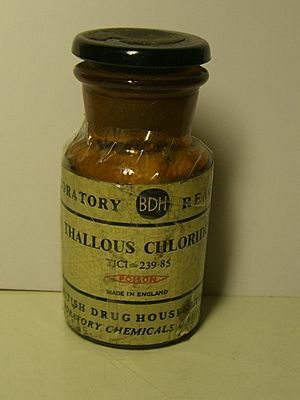 Thallium(I) bromide turns yellow when exposed to light, similar to silver(I) bromide. Thallium(I) sulfide is black, similar to silver(I) sulfide. The +3 state compounds are oxidizing agents. The black oxide, thallium(III) oxide and the hydroxide, thallium(III) hydroxide, are the only stable +3 compounds. They break down to oxygen and thallium(I) oxide when heated. Thallium and its compounds are rare because they are toxic and polluting. +1 compounds are quite unreactive. It is the more common oxidation state. They are made when thallium dissolves in acids or corrodes in air. +3 compounds are oxidizing agents. They are quite rare. Thallium was found by spectroscopy in 1861 by a bright green line in its spectrum. The main use for thallium, rat poison, was banned in many countries in the 1970's. Thallium is found most in certain clays and granites. It cannot be gotten easily from these, though. 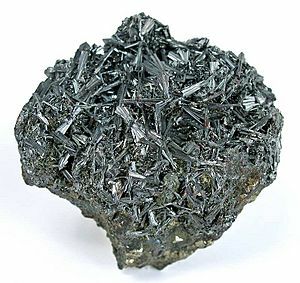 Thallium is normally gotten from the waste after other ores like galena are processed. 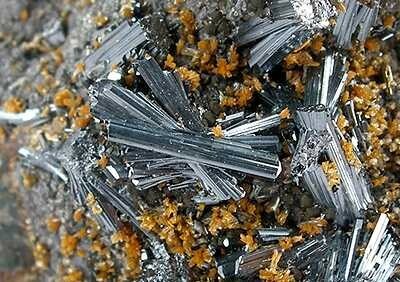 Hutchinsonite is another mineral that has thallium in it. When lead and zinc are taken from their ores, many impurities are left behind. Sulfuric acid is used to dissolve the thallium from it as thallium(I) sulfate. Then the thallium(I) sulfate is electrolyzed to make thallium metal. It is used in rat poisons and insecticides. The use of thallium as a poison has been reduced or banned in many countries because these countries think that thallium might cause cancers. It is also used in infrared detectors. It has been used in some murders. Like arsenic, the use of thallium in murders has given it the name "inheritance powder". Thallium compounds are used in glass for infrared light. Thallium was also used to kill skin infections, but it is too toxic to be used for that now. A superconductor that can work at higher temperatures than normal ones do uses thallium. A radioactive thallium isotope was used for nuclear scans. An alloy of thallium and mercury has a low freezing temperature and is a liquid. A very dense solution of a thallium compound was used to test minerals for specific gravity, but it is too toxic for use. Thallium is very toxic. It can be absorbed through skin. Many of its salts easily dissolve. Some are colorless, tasteless, and odorless, but are very toxic. Some think that it is a carcinogen. Thallium can be a pollutant if the thallium waste from metal processing is washed away. Thallium Facts for Kids. Kiddle Encyclopedia.